- Take the exit WEST I-64/RICHMOND/US-13/MILITARY HWY. - Turn LEFT onto 4TH View St. 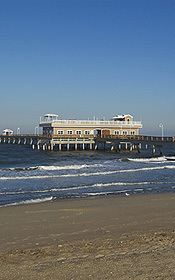 Ocean View Fishing Pier is straight ahead. - Merge onto WEST I-64 toward NAVAL BASE/TERMINAL BLVD.